I'm NOT proud to admit that my shopping habits this month have been embarrassing. This just means I'll be updating my shop the closet page soon! I had a very sweet day off today with ^this^ guy. Love him. Lately I've been thinking a lot about the wedding and how I need to make working out a priority. Since my current time situation is stretched as far as possible, I've been making due with small workouts here and there. 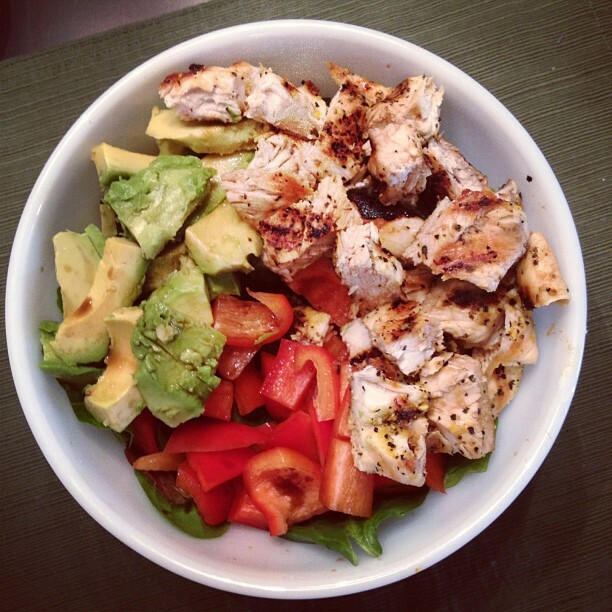 I have been trying to eat healthy simple meals when I can. 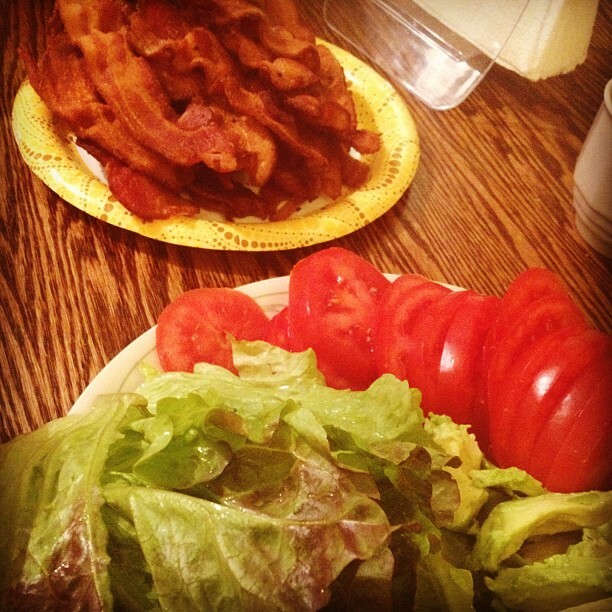 I mean...I know bacon isn't exactly a vegetable...but I LOVE bacon. Can't wait to slip that baby on! Hope your weekend is treating you well. Hop over to The Nott if you want to check out some more outfit pics! Hey girl! I went to your Shop My Closet and thought of buying the tan dress with pink bow, but when I clicked on the Buy button it said it was for the green striped dress! Perhaps someone else already bought it or it is linked incorrectly? Also, so exciting about wedding dress! It sold :/ sorry, girl! I can't wait to share little sneak peaks of my dress with you guys!